My name is Setareh Alizadeh and I am a undergraduate working as the Diversity Council Intern at Washington State University Vancouver in Vancouver, Washington. 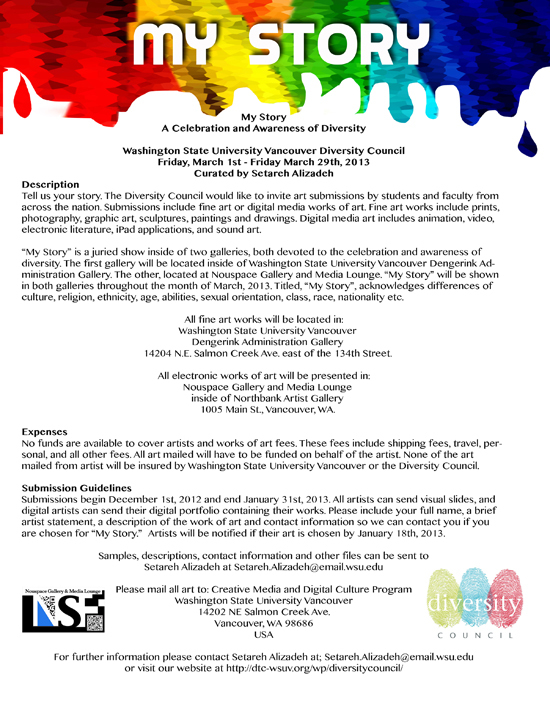 I am curating a national art gallery show devoted to the celebration and awareness of Diversity. or Email Setareh Alizadeh at setareh.alizadeh@email.wsu.edu for more details.